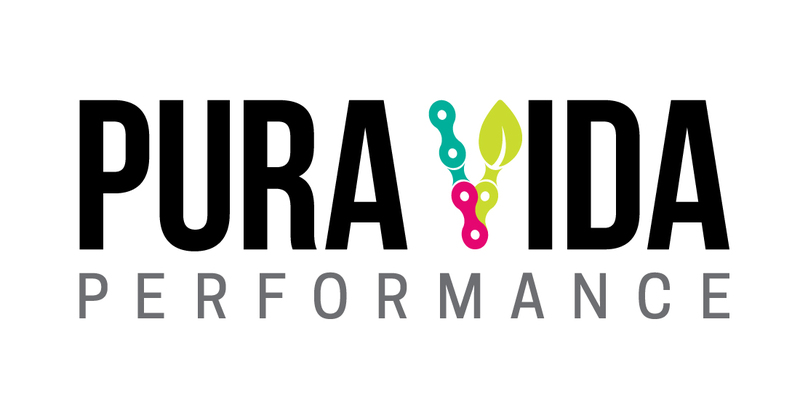 Paige came to us looking to get her logo designed for her company, Pura Vida Performance which focuses on one-to-one cycling coaching, mindset and nutritional coaching. She is very passionate about cycling and healthy living, so we needed to reflect that in her new branding so that she attracts like-minded energetic women. 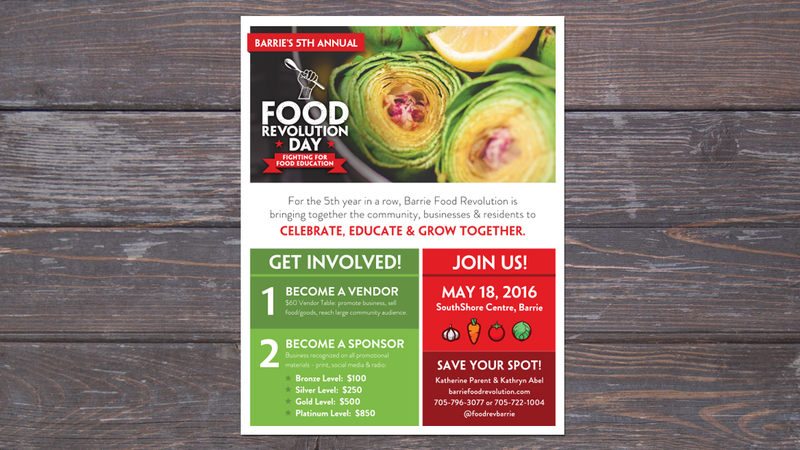 Nicole came us looking to create logo and banner design for Barrie Senior Services Network. They’re a not-for-profit with a passion for helping seniors here in Barrie. 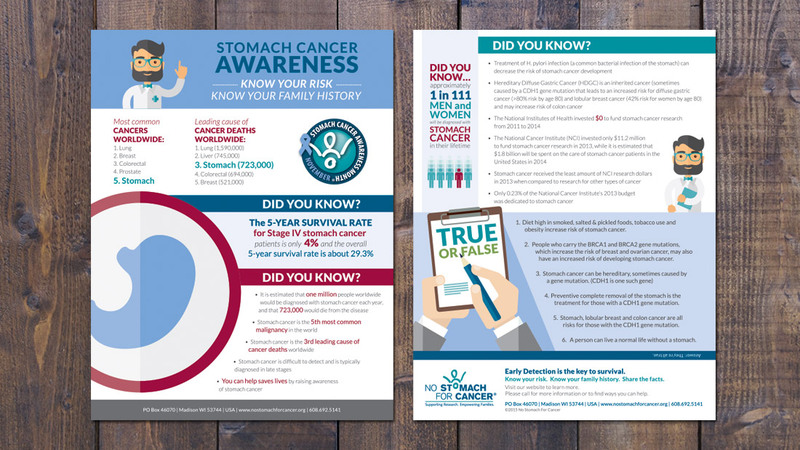 Collaborating with London Notions, our client wanted a graphic heavy infographic-style handout that shares numerous stats and loads of information on stomach cancer awareness. This was accomplished using their existing colour pallet and by incorporating some playful and eye catching graphics. Gabor was looking for a logo and business card design to showcase how he offers both wedding officiant services and DJ services for your wedding day. Katherine needed some help getting the word out about her wonderful event that she hosts each year here in Barrie. Food Revolution Day is a planet-wide healthy eating awareness day started by Jamie Oliver. JLK came to us needing a logo design for their versatile renovation & restoration business. If you’re looking for a local contractor with a major attention to detail talk to JLK Construction & Restoration. A passionate home-run daycare wanted their logo to demonstrate their commitment to child care and level of nurturing. To continue this theme the Little Sprouts font is long and sprout-like with earth tone colours.